Este artículo está disponible en español aquí An unprecedented wave of wildfires has swept through indigenous communities in Colombia’s Sierra Nevada de Santa Marta. Three deaths have been reported, and up to 700 people have been listed in critical condition. In the aftermath of the fires, the Arhuaco, Kogi, Wiwa, and Kankuamo Peoples have declared a state of emergency and turned to the international community for help. Located on the Caribbean coast of Colombia, the Sierra Nevada de Santa Marta is one of the world’s highest coastal ranges. Its millenary guardians are the Arhuaco, Kogi, Wiwa, and Kankuamo, the four indigenous descendant communities of the ancient Tayrona civilization. 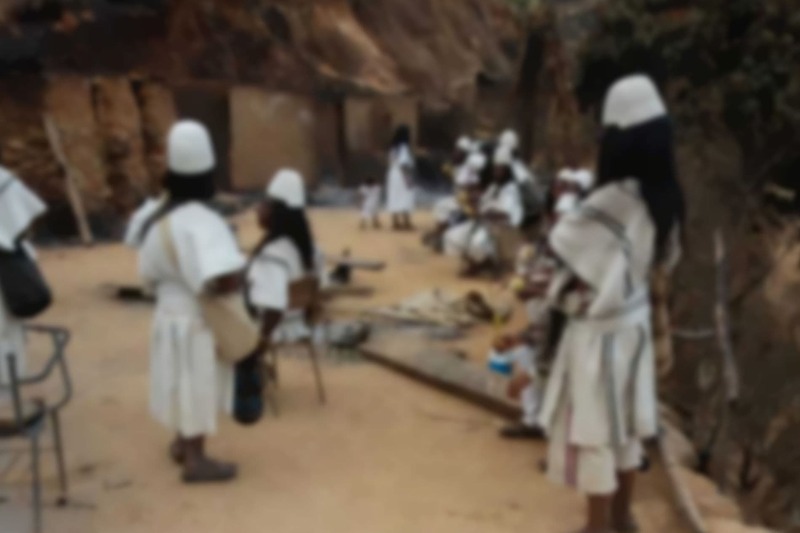 The Indigenous peoples believe the Sierra Nevada is the Heart of the World, where they protect the balance of all life through pagamentos, or offerings. The Arhuaco and Kogi were one of the few indigenous communities that were never colonized and resisted being evangelized. They preserve their language, dress, and culture. 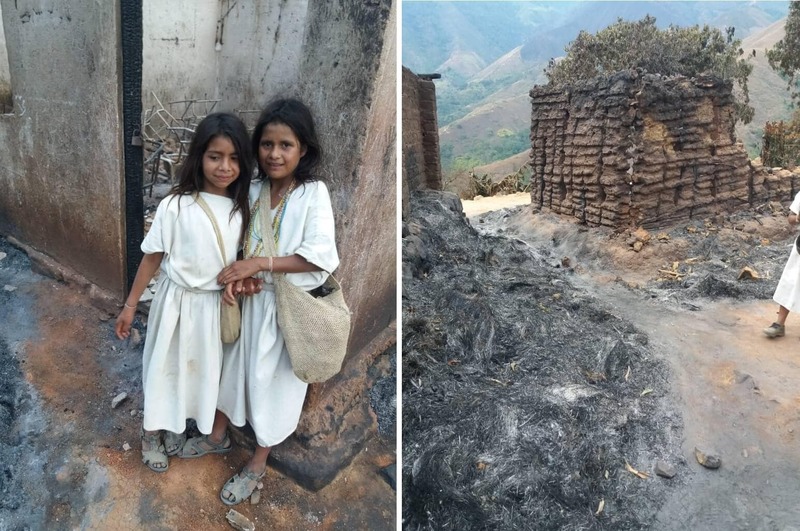 The Arhuaco and Kogi communities in particular were severely affected by the fires after an exceptionally dry and hot summer. The communities are currently asking for humanitarian help and donations because of the critical situation in the Sierra Nevada. More than 1,000 hectares and 4,000 people have been affected by the severe fires, damaging several important spiritual settlements. Some Kogi settlements have also been affected by the fires. Many animals died in the fire as well, including mules, horses and the sheep that produce wool used to make traditional bags. In a press release, the organizations representing the Kogui Indigenous People (OGT), the Arhuaco (CIT), the Wiwa (OWYBT) and the Kankuamo (OIK), represented by the Territorial Council of Cabildos (CTC SNG), explain the serious situation caused by the fires and the environmental crisis caused by an unusually hot summer. “The Indigenous Peoples and Organizations Kogui (OGT), Arhuaco (CIT), Wiwa (OWYBT) and Kankuamo (OIK), representing the Territorial Council of Cabildos (CTC SNG), speak about the serious situation caused by the fires and the environmental crisis caused by the strong summer in the Sierra Nevada de Gonawindua. “As caretakers of the Heart of the World, we express our uncertainty about the serious environmental situation and humanitarian crisis generated by the fires, which have been presented since last February 24, in more than ten (10) places in the Sierra Nevada, that increased because of the long summer, the heat wave and the strong winds that increase the risk of destroying other areas in this sacred territory, threatening our material and immaterial heritage, natural in cultural and environmental terms. “The magnitude of the damages is incalculable, the fires have devastated more than 1000 Hectares (nearly 2,500 acres) of the mountainous ecosystem of the Sierra Nevada. 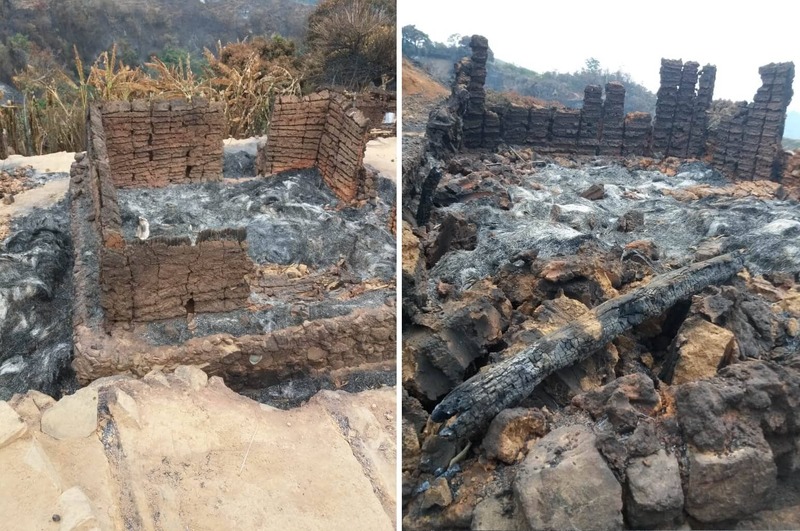 To date the total destruction of houses in the settlements of Seynimin (Arhuaco), and Waneyaka (Kogi) is reported, fires still persist in the region of Nabusimake (Pueblo Bello), Sogrome, Donachwi, Jukwinchukwa, Suribaka, Shendukua, Zinka, (Valledupar) Piñoncito, Sabana Grande and Potrerito (San Juan), and other regions are at risk. In addition, spiritual and material damages have affected the following ancestral sites: Ezwamas, Kadukwa, Mamanua, Shentuan (Ceremonial Government Center) Kankurwas (traditional houses), farms, health centers, schools, and hundreds of families. TO DECLARE [a state of] cultural, social, environmental and economic emergency in the Sierra Nevada de Santa Marta, traditional and ancestral territory of four indigenous communities. TO REQUEST in an urgent manner the help of national, regional, and local authorities; relief, risk and disaster agencies, [Colombia’s] public prosecutor’s office and international organizations, [as well as] immediate intervention to address the declared [state of] emergency through coordination, accompaniment, and monitoring mechanisms. TO ALERT the regional and local indigenous authorities along with the communities and families within the [four] communities to take the necessary measures of prevention and control in this situation according to our own mandates and regulations. Ana Barón is a collaborator of Mestizo Muisca origin, translator, and environmental activist involved in supporting indigenous communities in Colombia, South America. This article is being published in collaboration with The Esperanza Project, a Green News Portal for the Americas.